CCTV Installation, Cameras sited & set-up. 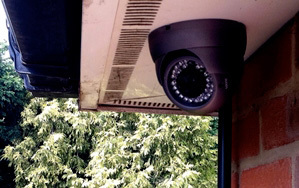 CCTV Installation – A fantastic service from front to back James, Kidderminster, Trustpilot, 6th April ’19. 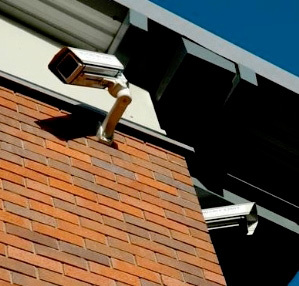 CCTV Cameras linked to Recorder, PC, Internet, iPhone etc. Family & loved ones – check they are well. Pets at home or in the garden. Nik & the team can install external or internal cameras and set these up according to your needs and requirements. Night-vision, low light to HD colour cameras. 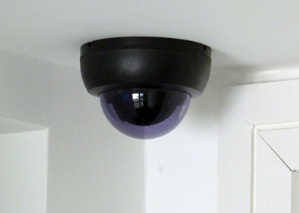 Bullet or Dome CCTV Cameras, internal or external. wireless camera can be flexible & fun. Recording to tape, DVD, hard disk, computer or the cloud. Viewing via computer, TV, the internet or smart phones. android smartphone, iPad or tablet. Nik and the team have been linking customers TV systems to their broadband, linking up video cameras and helping customers watch on their iphones & tablets so it was no surprise that they were asked to help integrate CCTV installations. So as our team has expanded we have added CCTV experts with wide knowledge of the best hardware. The guys have started to help link these streams up to the internet so anyone can see your wildlife streams as well as providing secure, private, access to your security cameras for your remote peace of mind. 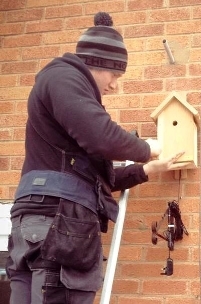 Installing CCTV into a bird box, left. You can see the full picture on Facebook. Then use our Book a Callback Form to arrange a survey visit. Excellent service. Highly recommended We used Digital Direct to have our CCTV System fitted to our property a couple of weeks ago, and we can honestly say we cant thank the whole team enough. Sarah and the girls based at head office are great. They are friendly, helpfull and always return a call when the say. After discussing with Sarah what are thoughts were, she swiftly arranged for an assessment of our property to be done by an engineer 48 hours later. Here we discussed what are issues were, the need for a system, where we wanted to be covered and went through all the different types of system avaliable to us. Straight from this assessment Sarah and the team very quickly had the parts we wanted ordered and an installation date was set. Less than a week later, Nik and the installation team came and installed the system fully for us. These guys were also fantastic. They arrived on time, even on a day with adverse weather with high winds and heavy rain nothing stopped these guys doing all they guaranteed they would on the day. They were very friendly, helpful, worked in a very tidy manor around all of our house, ie:- 3 bedrooms, loft, lounge, kitchen, hall, landing, etc given we had a 4 camera system fitted to cover all areas of our property, and worked very swiftly to a exceptionally high standard. 2 weeks on, we now have a first review arranged where we will go over with an engineer the whole system making sure we are fully comfortable still with how it works after a couple of weeks of living with it and playing around with it and to check if any fine tuning is needed to the camera positions and night vision back lighting. We can honestly say Digital Direct come highly and fully recommended for both their customer service and guarantees along with price and quality of the work. (It is to an exceptionally high standard). We had looked around at many systems leading up to contacting Digital Direct and we can honestly say nothing came close to both the job price and the extreamly high quality of the products the company uses. Family members who have visited our home since can not get over the quality and capability of the system we have had installed. We can not thank the team enough.